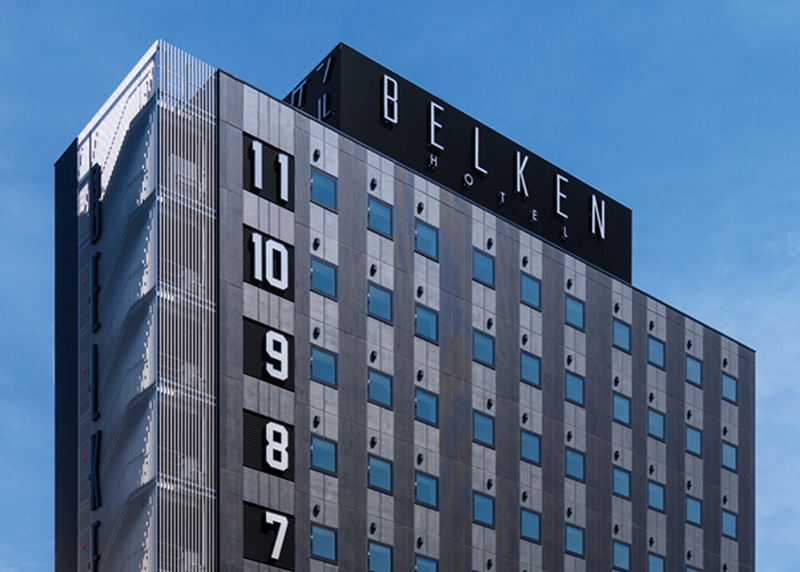 Belken Hotel Tokyo is a brand new hotel opened in Tokyo Nihombashi! The hotel offers first class stay at budget price! Only 5 minutes walk from Nihombashi or Kayabacho metro station, very convenient for business and also for sightseeing! At Nihombashi Station, you can take most important metro lines, Tozai Line, Asakusa Line and Ginza Line. You can easily reach most popular places in Tokyo. Belken Hotel is positioned in central Tokyo, surrounded by coffeeshops, restaurants, Nihombashi Takashimaya and Maruzen department stores. The hotel is ideally located for both sightseeing and business purposes. 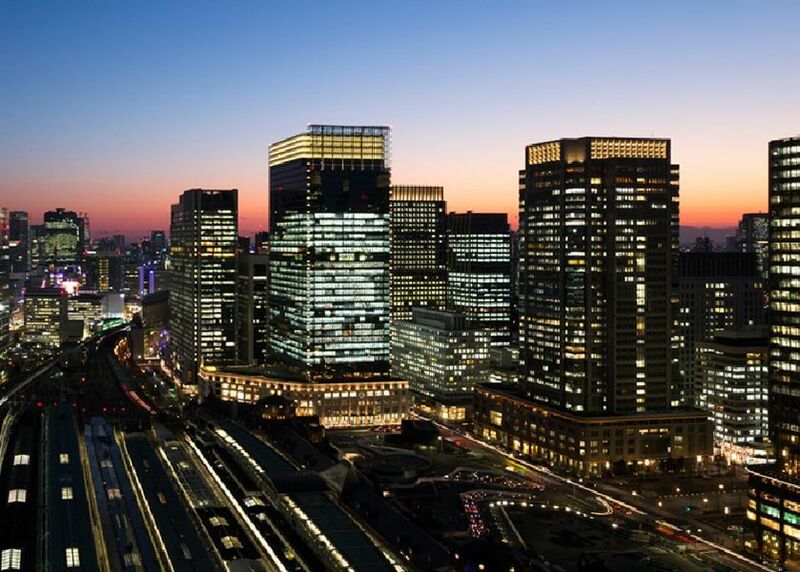 Tokyo Station is the closest JR station where you can travel to all major Japanese cities with JR East Japan. The nearest metro stations; Nihombashi and Kayabacho, can take you to most of the major tourist destinations without changing the line, such as Tsukiji fish market, Asakusa, Skytree, Ginza, Shibuya and many other places. BELKEN Hotel is approximately a 5 minute walk from Nihombashi metro station. If travelling with JR, the hotel is approximately a 15 minute walk from Tokyo Station Yaesu, central entrance. 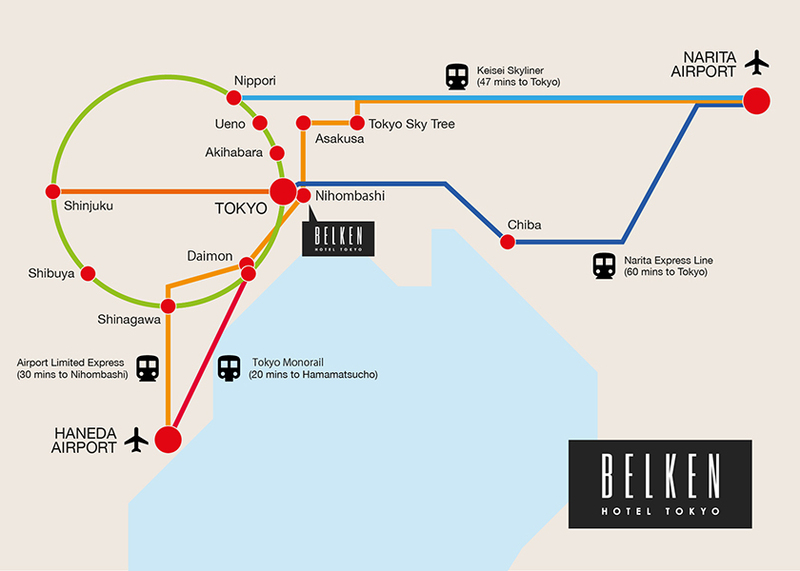 If travelling with JR, BELKEN Hotel is approximately a 15 minute walk from Tokyo Station Yaesu, central entrance, or 5 minutes by taxi from Tokyo Station. We recommend the Narita Express or Limousine Bus to Tokyo Station. You can also travel with the Keisei Narita Sky Access or Keikyu Airport metro lines to Nihombashi metro station, the closest to the hotel. Travel directly to Nihombashi metro station using the Keikyu metro line from Haneda Airport.